The truth is that, since I went back to work (if you missed the post about this, you can find it here), I hardly have time to get out birthday party invitations in a timely fashion – let alone organizing appropriate, affordable, thoughtful loot bags. For me, affordable and thoughtful are the key points…if you have 10 kids and spend $5, or more, each…that’s $50! $50, people!!! If you are spending that kind of money on loot bags, you want them to be appreciated and enjoyed, right? I remember one of the first years I did loot bags, I was discussing them with my friend Kim. 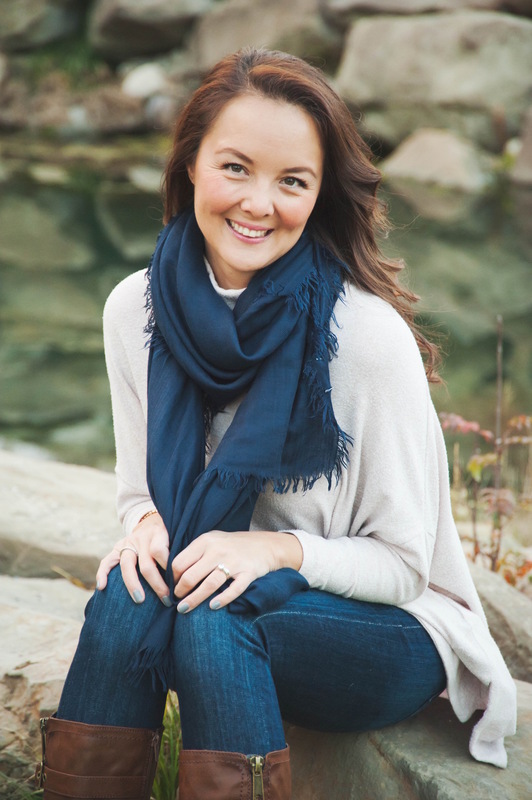 She challenged me and asked me why I was doing them – was it to ‘keep up with the Jones’’? It was a different perspective…it made me think about the purpose of why we do give out goody bags. Was it about keeping up with the Jones’? Honestly, the truth was that it wasn’t about that at all. I didn’t feel like I ‘had’ to provide them to ‘keep up’…I think it was really more of a cultural thing. The same way we eat cake at a birthday…there is often a loot bag given out. It felt a little more like tradition. I do remember being so excited to receive them at birthday parties when I was a child; it was fun to create the same kind of experience for the twins’ little friends! But, here is the thing. This year, after planning an ‘off-site’ birthday party, extending invitations, and organizing the other food and details, I just don’t feel like I have the time or energy to do any more this year. On top of that, we have already spent a great deal of money on this party since it is off-site and since we have the twins (which makes our guest list a little longer). Shouldn’t that be enough? …Dollar store ‘trinkets’ that break easily. …Treats that other kids might not be permitted to eat. So, now take that list and try to find something everyone will enjoy. Sounds so fun, right? Isn’t a loot bag a gift? Should we really have to be so conflicted about what kind of items we ‘gift’ out? Here is another point to consider…on the heels of talking about the fact that a loot bag is a ‘gift’…is it ‘necessary’ to be gifting children for coming to a birthday party in the first place? I mean, really…please come to our party where we have entertained you, fed you cake (and maybe snacks) and now let me give you a present for coming. Are we setting the right expectation for our kids by providing these every single year? One thing that is really important to me as a parent is to raise my kids to be gracious and thoughtful and to not act or feel entitled. A part of me worries that my kids are going to expect that they need to receive a loot bag every time they go to a birthday party. I remember a friend of mind telling me a story about how, as a single parent, she put on a birthday party for her son. At the end of the party, a child basically chastised her since she hadn’t offered him a take-away. What??? Kind of horrible, right? So…I’m not saying that I won’t ever do loot bags again but I do just want to say that, once in a while, we should just give them a break. I think that should be okay. To my mom and dad friends who take the time and effort to send these home with my child…they are definitely appreciated! …BUT…I want you to know that having my child (or children for that matter) to your party is also ‘enough’. 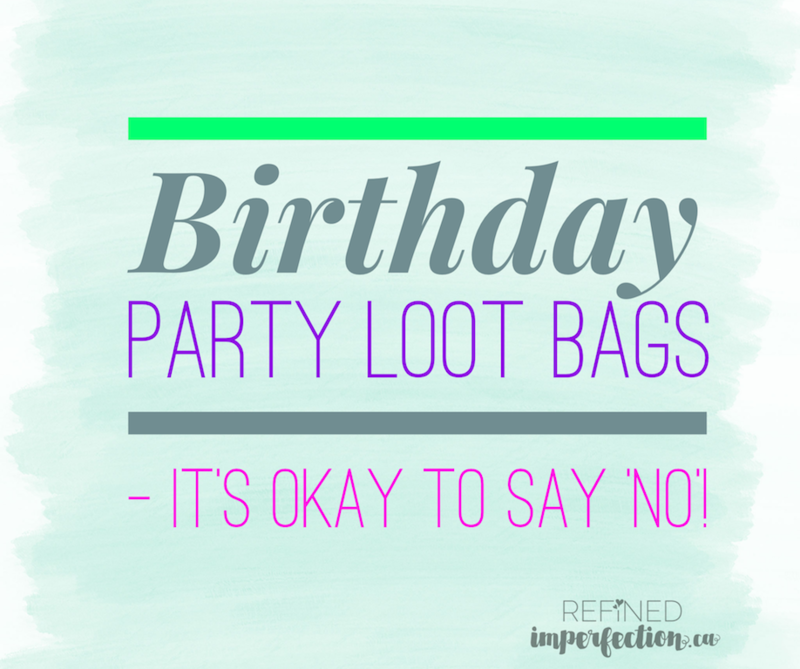 In my opinion, it is totally okay to say ‘no’ to the loot bag. This year, that’s exactly what I’m doing. Good for you Mrs Refined!! As an “older mom”, I have had many years of loot bag experiences…..and it has annoyed me greatly. I have seen the gamut. One particular party we attended & the loot bags were more expensive than the gift we gave ….and I didn’t cheap out!! I do loot bags BUT I have the time to make them myself AND our parties are home based AND the guest count taps out at four. My children have received gift cards in place of loot bags (ie Marble Slab). The favorite was a hand made thank you card from the birthday child. I think that is the best! And how all this loot bag craziness started…..as a thank you. Your cuties are still young but a card could be made by the Twins….each draws a picture or something….you could photocopy it & voila! Personal, sweet thank you! I’m not super surprised to hear about receiving some fancy loot bags…the kids attending Gray and A’s party are probably going to wish they went to ‘that’ party instead! I’m glad you mentioned thank you cards. I definitely have them on my list…I hope that will be meaningful for all of the kids (including my own). Having said that, scaling back on our list something I plan to work on in the future. I once heard a general ‘rule of thumb’ could be that whatever age the child is turning is how many guests they can invite. Depending on the activity, I think I could get on that train! Thanks for taking the time to comment! I always enjoy hearing your perspective! I’m indifferent to loot bags, but I do think it’s appropriate to give a little gift – or at least a card – when the attendees give a gift. My daughter just turned 7, and she has only a few close friends that she wanted to invite, so that was easy: 4 people invited, only 2 could attend. I knew both of these attendees would give a gift, so we went out and bought dollar store cards (blank inside) that she wrote “thank you for coming to my birthday party” and drew a picture in and also a package of very interesting metallic pencil crayons for each (including my daughter). My suggestion for keeping the guest list manageable would be to keep it to 2-4 guests per child, depending on what you’d like to do. We did a party at Color Me Mine last year, so we maxed out with 6 kids in attendance. We also did a skating party at the local community centre/rink so we were much more open with invitations for that, too. But this year was at home and it’s tough to entertain large numbers in February, at home. I like the guests by age, but at the same time, think about what that looks like when your kids turn 8, or 10 – that’s a lot of kids if you’re going with that many *each*! The older kids gets, the fewer close friends they have and I really feel like birthday parties are for the close friends, not the whole classroom. Well, hello! All good points! We are really trying to find balance in our birthday parties still…I’m convinced we have a ways to go. My friend, Kim, challenged me about whether or not we gave out favours at our wedding…and suggested that the thought behind it isn’t much different that the thought about a loot bag. I would say she made a good point!